History of Venetian Carnival, Traditional Masks and the Technique used to create them. 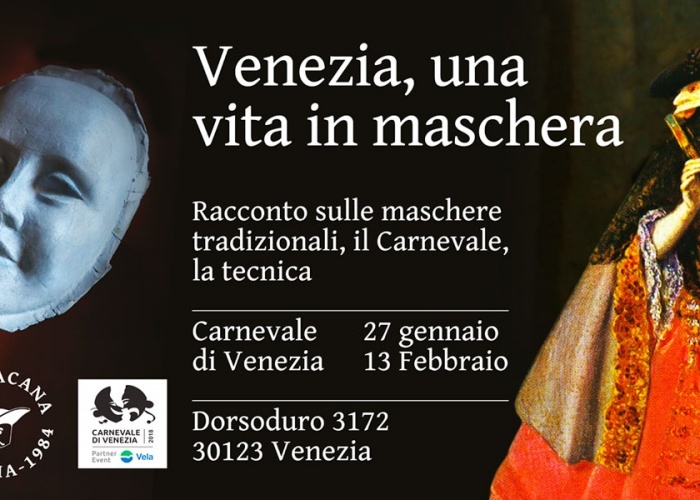 On the occasion of the 2018 carnival, Ca 'Macana, one of the oldest Venetian masks workshop in Venice, opens its own atelier to let you discover the extraordinary world of ancient Venetian masks and mask making techniques. Presentation languages: Italian + English, Italian + French every other day.